Observing cleanliness and hygiene in a medical office can determine its success or failure. Proper hygiene reduces the number of germs in the air and equipment in the facility while avoiding the spread of contagious viruses. A well cleaned medical office protects the patients and the workers as well. You need to have a professional clean your Greenville Medical office for the following reasons. For a medical facility to be deemed clean, it must satisfy high standards of hygiene. Professional cleaning firms follow code of conduct in their work to ensure they deliver the best services. Professional cleaners are equipped with the right skills to produce an environment that will ensure the safety of all. 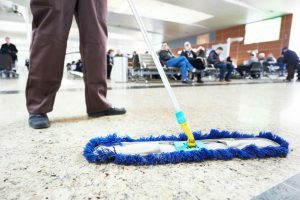 Cleaning of medical institutions is unique, and the law specifies how to do it to contain the spread of germs. Professional cleaning firms train their workers to understand what the law requires and ensure they adhere to the regulations during their work. It is mandatory to observe safety precautions when cleaning medical offices. Cleaning Greenville medical office involves disinfecting all surfaces and instruments to kill germs. The process involves the use of germicides and other specialized chemicals. The cleaning staff understands how to use different products for the best results. A health facility has various departments that require cleaning. The experts know how to clean each room since all of them have unique requirements. For instance, the cleaning procedure of the records office is different from the laboratory. Qualified cleaning firms have certification from the relevant authorities and observe OSHA guidelines in their work. OSHA requires that blood and other possible contaminants be handled and disposed off in a given manner. The cleaners understand these requirements and follow them at all time. The quality of the air is also an issue that affects the hygiene conditions of the facility. Professional cleaners use quality vacuums that reduce the amount of dust and allergens in the air. Most medical practices provide specialized service. As specialists, they focus on their work so that they can serve their clients effectively. In the same vein, it makes sense to leave specialist cleaners to handle cleaning jobs. Professional cleaners understand the latest developments in the industry, and they can quickly adjust to them. Working in a hospital environment has some risks, but the morale of the workers is boosted when they work in a safe environment. Thus, they will work well and serve the clients properly without fear of getting infections or carrying the germs to their families and friends. If you decide to clean your clinic rather than engage professionals, you will have to buy and store the chemicals. These inputs cost you money and storage space while exposing you to the risk of mishandling. You will need to take your workers for specialized training for them to handle them safely. These extra costs add to the running expenditure of the business which affects its profitability. Hiring experts will allow you to concentrate on serving your clients better. Greenville medical office leaves cleaning work to professionals who have the resources and knowledge to deliver a safe working environment. The experts also observe the law and follow acceptable codes of conduct in the business. Let a professional cleaner mind about your office hygiene today for better results.